A safe and effective method of exposing subsurface utilities using high pressure water blasting and vacuum techniques to excavate buried infrastructure/utilities without damage. Using high pressure water to liquefy soil to create slurry, this carefully exposes subsurface infrastructure/utilities without damage. It is then extracted using a vacuum system into our truck tanks. 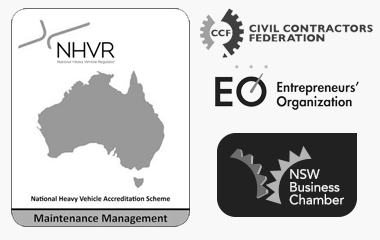 Preferred method and deemed best practice by asset owners and the regulators to prove the existence and location of an asset. Non destructive excavation is the most effective and safest way to expose underground services. Easiest to repair and restore the site after works completed. 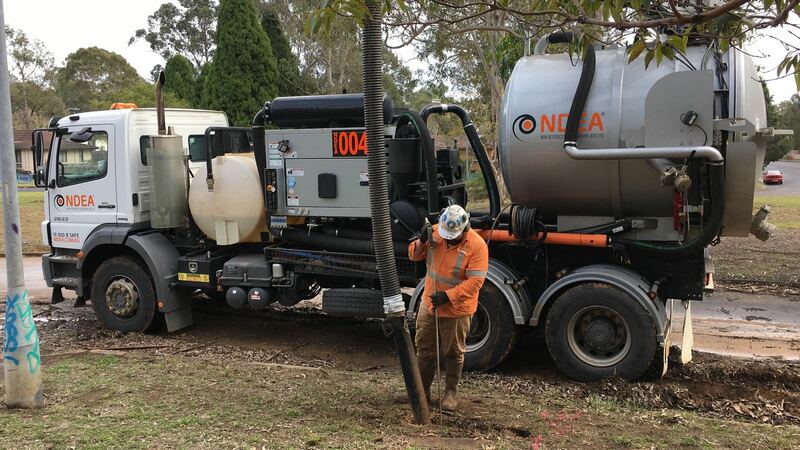 Non destructive excavation services can be conducted near and around water networks, telecommunications, power or gas lines with minimal risk and without any potential damage caused to those services. Avoids damaging surrounding materials and provides a major reduction in noise pollution and disturbing the local environment. Required to reach AS5844-2013 Quality Level A: Precise position of the subsurface utility in three dimensions, and ability to confirm the utility’s size, condition and indicative material type. Relative spatial position (horizontal and vertical) to +/- 50mm. Vacuum trucks for the removal and cleaning of all types of materials including clay and hard packed soil. Cleaning of tanks, vessels, pits and culverts, capable of vacuuming wet or dry material. 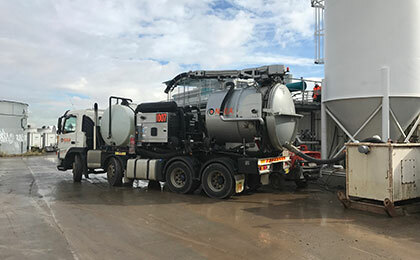 Vacuum recovery unit loading and unloading services provide a fast and safe process. Vacuum liquids or solids for disposal or recycling. Removing heavy drill slurry from slurry tanks, holding ponds or bulk bins, Deep pulls such as shafts and pump stations. Repair and restore areas after non destructive excavation work is completed. Provides protection for subsurface utilities. Cold mix is used to restore road and paved areas. 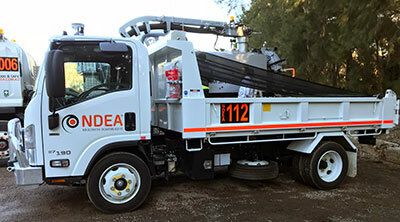 Fully equipped tipper and backfill trailer, NDEA bring all the backfill and all the tools to site. 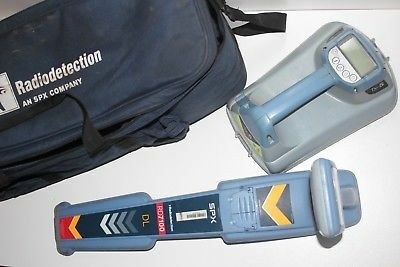 Electromagnetic locating is the most commonly used method to locate underground services. Using the electromagnetic technique, a radio frequency is induced onto the asset which the signal then carried by the conductor along its length and is detected above ground with a radio frequency antenna (locating wand). Detect underground assets made of or containing conductive materials. Safe and reliable method of locating most underground assets. Required to reach AS5844-2013 Quality Level B: Existence and location of subsurface utility, with relative spatial position (horizontal only) +/- 300mm. Roadsawing (slab sawing/floor sawing), uses large self propelled concrete saws that are fitted with diamond blades. 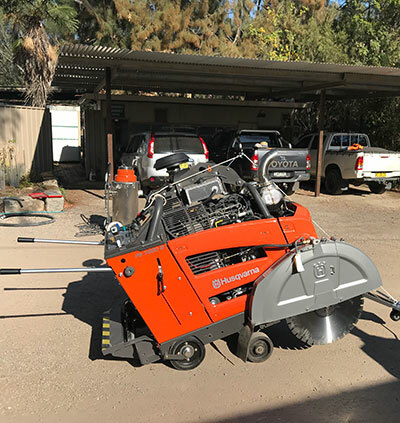 They are used to cut horizontal flat surfaces such as asphalt, roadways, pavement, concrete floors, tiles, pavers, cobble stones, and bridge decks at depths of up to 450mm. Roadsaws are used to cut large areas of concrete floors and bitumen roads. Hand held sawing uses portable saws for smaller jobs, where manoeuvrability and space is limited and the depth of cut required is moderate. Water is used to cool the blade and keep the area dust free. We are meticulous about keeping our work areas clean. The water is vacuumed up and disposed of so that the site is always neat and clean. Concrete Core drilling uses diamond tipped barrels that are capable of drilling through concrete and masonry products and when complete leaves a neat circular penetration through the drilled surface. Can be used to drill through heavy steel re-enforced concrete and does not have any vibration, so it is perfect for sensitive areas. Core holes vary in diameter from 10mm up to 1000mm. Holes can be drilled to any depth with the aid of extension bars added to the drill bit to continue coring to the required depth. 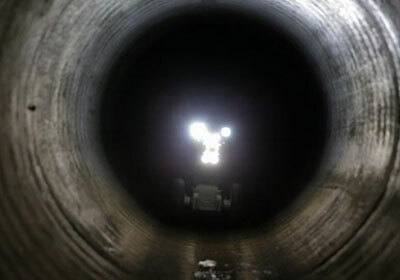 Use tractor cameras to check the condition of pipes, joint and find blockages easily. Carry out inspections of underground pipe networks and report on length, type of pipe and any underground issues. Tractor camera pans, tilts and rotates for easy identification of defects, along junctions and around manholes. CCTV Tractor can be utilised in pipes ranging from 150mm-4000mm diameter and even bigger if required, and at distances up to 250mm. CCTV cameras can make recordings of: the condition of the sub-surface infrastructure, the location of blockages, the location of junctions and bends, etc. CCTV pipe inspection services are a critical part of any road or building construction project.